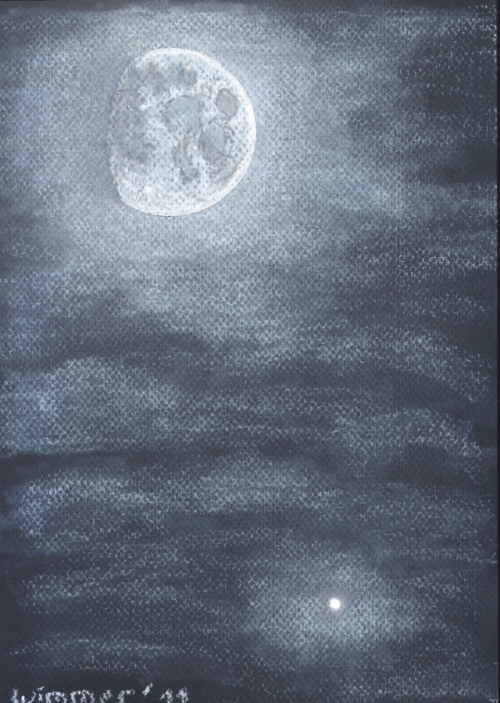 I present to You my sketch of the Moon and Jupiter conjunction. Conditions: High clouds, light fog. Very nicely done and artistic! Beautifull and artistic, and freaky realistic. Congatulation for your work ! Great looking sketch on textured paper.